Meet the SVN CompassRock leadership team. SVN CompassRock is a company with a long and rich history. Formed by industry executives with decades of experience working at some of the nation's pre-eminent real estate companies, we provide the perfect blend of proven, world-class processes with our entrepreneurial spirit and creative solutions to deliver real results to our clients. 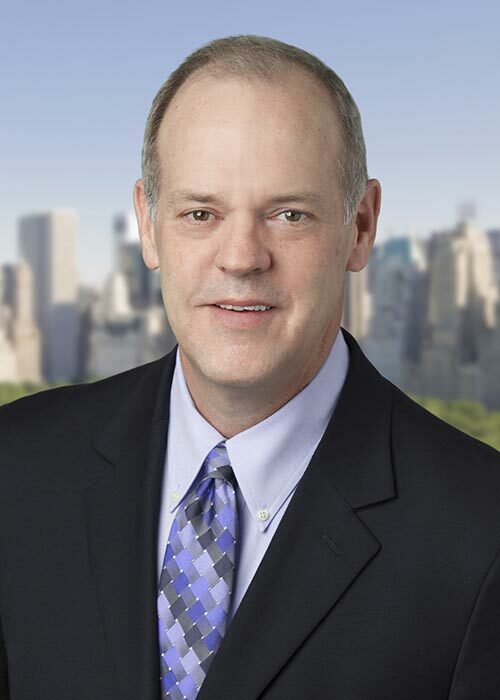 David Woodward is a Founding Principal of SVN CompassRock Real Estate, a leading national provider of institutional-quality property management services to the office, retail, industrial and multifamily industries. Mr. Woodward brings more than 25 years of leadership experience to this role, with expertise in real estate investment, operations, development and construction for some of the world’s premier public and privately held real estate companies. Mr. Donahue along with partners David Woodward and Tony Yousif founded SVN Compass Rock in October 2018. In addition to being a founding principal, Mr. Donahue will serve as the CEO of the company overseeing day to day operations for the organization. Prior to the formation of SVN Compass Rock Mr. Donahue was a principal in SGI Consulting LLC, a commercial real estate advisory firm he started in mid-2017 following his departure from C-III Capital Partners after approximately five years of service there. Tony Yousif serves as Director of National Accounts for SVN CompassRock specializing in the management of multifamily and commercial properties. Tony acts as single point of contact for a number of institutions. His job is to oversee the management, value add strategies, and disposition of assets throughout the nation. Tony acts as an intermediary between the client and the 'boots on the ground' property managers and brokers, currently in over 44 states. Mr. Taulbee is the President, Commercial Division, for SVN CompassRock Real Estate, a service provider that focuses on property management, construction management, leasing and other services for retail, commercial and multifamily properties. CompassRock specializes in foreclosed real estate and turn-around situations, working with special servicers, lenders and other real estate owners. CompassRock covers major markets nationally and also specializes in secondary and tertiary markets where assignments from CMBS special servicers often occur. Deedee M. Beckman serves as Vice President & Controller for SVN CompassRock Real Estate, with oversight of the company's account and finance systems and activities. Prior to joining CompassRock, Ms. Beckman spent six years at Laramar Group, a privately held owner and manager of multi-family real estate. She served as a Senior Accounting Manager during which time she oversaw the preparation of monthly, quarterly and annual property financial statements and overall accounting functions for assets totaling $715 million. Shannon Kay is the Senior Vice President of Corporate Operations for SVN CompassRock, a leading national provider of institutional-quality property management services to the office, retail, industrial and multifamily industries. Ms. Kay brings more than 15 years of experience to this role, with expertise in asset management, real estate operations, and ancillary services. Lani Small-Robinson is a Property Manager for SVN CompassRock Real Estate, with oversight of a portfolio of office and industrial fee-managed assets. She brings more than 10 years of experience to this role, with a strong track record in property turnarounds, receiverships and REO asset management.